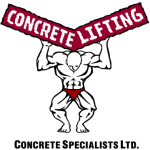 At CSL we pride ourselves on being one of the leading companies in Concrete Lifting for over two decades in Calgary, Alberta, and Western Canada. Honoring the longest warranty in the business, CSL offers both Concrete grout as well as Polyurethane foam choices for lifting concrete, soil stabilization and void filling. Contrary to some competitors that use a lesser quality product with cheap pricing, CSL prefers to use a high quality signature grout for a long term, high quality result for our customers. This quality sometimes does cost slightly more, but well worth it when the concrete repair is able to stand the test of time and the repair doesn’t need to be redone in the future. When a customer receives a quote from our company, the price does not increase at the time that the work is completed, even if more product is required. What this means for our Customers: NO Hidden Fees! Unfortunately, it is common practice by competitors to charge in addition to the original quote, due to ‘extra material cost’ These hidden costs leave the customer to pay more than they were lead to believe. With CSL,The price on your quote is the price you pay, it will never increase. With less than a .01% settling rate, CSL is proud to have an A+ rating with the BBB for both our residential as well as our commercial clients. We have built our Calgary based company on integrity, results, and ethical work standards. CSL is committed to providing superior service and quality workmanship to all of our customers.